Crosspoint Kids is our ministry for babies (6 weeks) through 5th graders! We believe that church is a place where kids should be welcomed, loved, accepted, and challenged to grow in their faith. During each of our gatherings, kids engage in age-appropriate environments and are connected to adult leaders who love Jesus and want to see kids grow to love Him too. In Crosspoint Kids, we are intentional about relationships. We want kids to know, even as babies, that the church is a place of people who care about them. Our teams are partnering with parents to lay and build spiritual foundations in the hearts of kids. This only can happen when relationships are present. 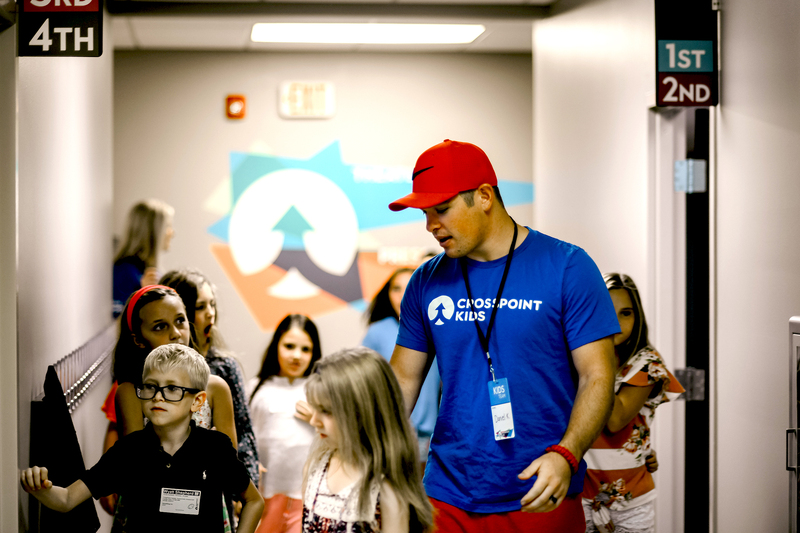 The people who serve in Crosspoint Kids are connectors at heart - connecting kids to their peers, leaders, to the church, and ultimately to Jesus. Our teams create environments that foster relationships as we strive to speak truth to kids about how they are loved and valued by the Creator of the universe. What kid doesn’t need another person telling them that?! Our people are not all teachers or nannies or Bible scholars. They are simply people who’ve said YES to serving kids and families, and they grasp the value of pouring into the next generation. To find out more about the roles in CPKids and how you can be a part go here. We look forward to meeting your family and assisting you in getting your children connected to their age-appropriate environments. To save time when you visit submit the form below, plan on arriving 15-20 minutes before the gathering, and stop by our First Time Guest Area. Your family will be greeted by our team who will help your family to our Crosspoint Kids environment. After you are registered, you and your child will be given matching security tags that are unique to your family and your visit. Your child will need to wear the name tag portion, which has a code that is matched to your portion during checkout at the end of the gathering. During checkout, you will return to your child’s room and show your tag in order for your child to be released back to you. If your child needs you during the gathering, we’ll contact you by texting your cell phone. We know that a child’s safety is crucial to a parent’s connection to church. We require all adults serving in Crosspoint Kids to undergo a background check (including multiple personal reference checks). Our security team is in place throughout our Kids environments to ensure that your child remains safe. When you arrive on Sunday, our team will assist you in checking in your child. At check-in, both you and your child will be given matching security tags with a unique code ensuring that no one picks up your child but you. We’re confident that your whole family will have a great and safe experience in Crosspoint Kids! Partnering with parents in laying foundations of faith in the hearts of preschoolers. Our nursery and preschool environments engage kids at their level to learn basic truths about who God is and how much He loves us. The active and curious minds of preschoolers are taught through stories, activities, worship, and crafts. Our nursery kids are given a first look at the loving care of our Heavenly Father through simple songs, stories, play and loving care they receive each Sunday. Check out our Monthly Parent Cue to continue the conversation from Sunday at home. Partnering with parents to build faith by connecting kids to peers, leaders, the church, and ultimately to Jesus. 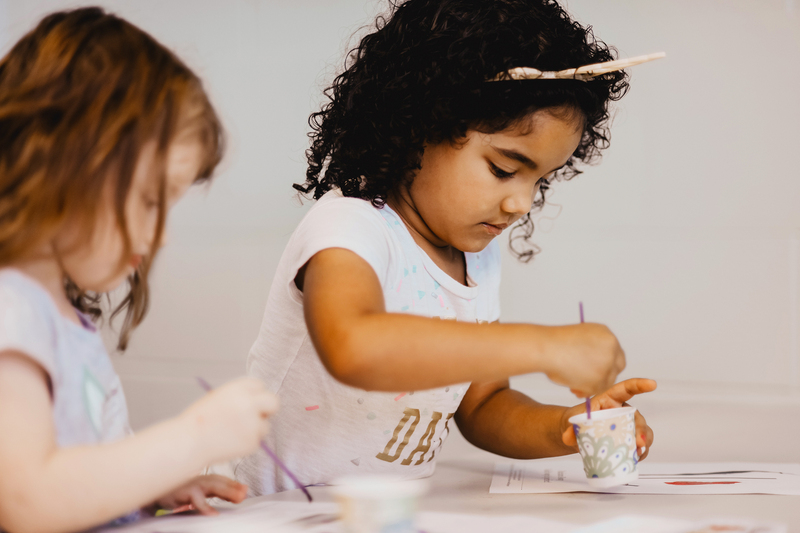 Each Sunday, your child will engage in learning through creative teaching, interactive worship, high energy, challenging activities, and small group discussions. We want kids to discover the great value of being connected in the church and to help them grown in faith and knowledge of Jesus.